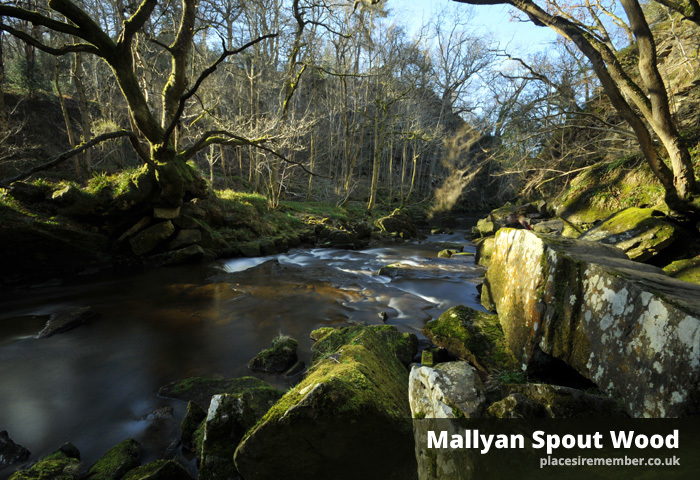 Situated a 220ft descent from the roundabout next to Goathland parish church, marking one of two main routes into the North Yorkshire village, is the Mallyan Spout waterfall. 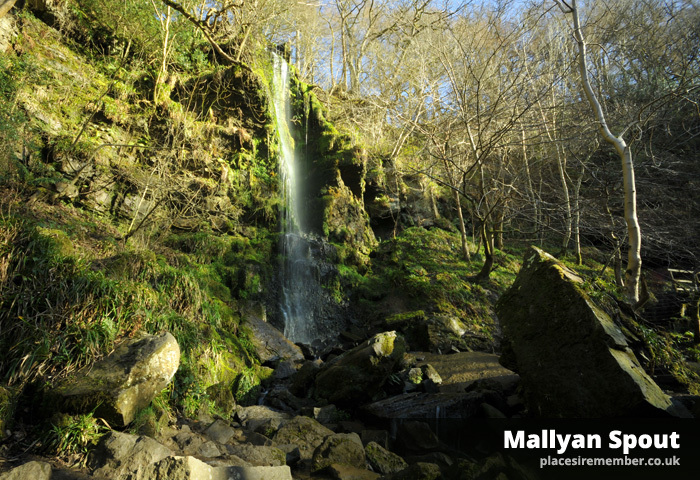 With the water rising from springs in the moors above the Mallyan Spout, the existence of an actual waterfall cannot always be guaranteed, particularly following a spell of dry weather. Even when water does flow over its 70ft summit, the volume can be more akin to standing under a bathroom shower! But it remains an impressive sight, and is a usually a little safer to get to than another well-known waterfall in the area – Thomason’s Foss. Assuming a start point of the village square near to the row of shops, head along the main road for around half a mile in the direction of St Mary’s church. Opposite the church is the Mallyan Spout Hotel, alongside which is a public footpath leading down to the West Beck. Caution should be taken during or after wet weather, as the rocky steps can be be very slippery. On reaching the beck, take a left turn to continue towards the Mallyan Spout, with the waterfall situated another 100m upstream. A path continues upstream, with another option being to return to the village the same way. But for a circular route through the woodland, turn back in the same direction as you came from, but instead of taking the steps back up to the road, continue on the path through Mallyan Spout Wood. 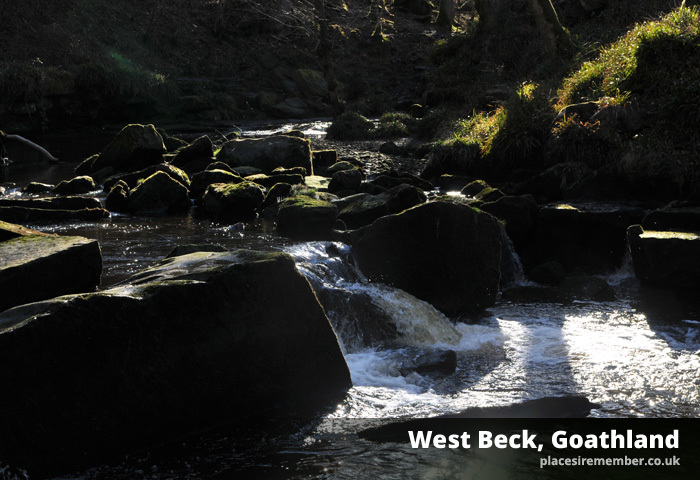 This path takes you through the wood and, after a distance of a little under a mile from the waterfall, will bring you out beside a cottage situated on the Goathland to Grosmont rail trail. To get back to Goathland village the from here, take a right turn and follow the pathway back to the car park in the village. The circular route totals around 3 miles and even at a gentle pace, with a reasonable stop to admire the waterfall, can be carried out in under a couple of hours. It’s therefore a suitable length of walk even if spending only an few hours in the village – offering a chance to see one of the area’s waterfalls and scenic woodlands, but leaving enough spare time to wander to the famous station and also enjoy a jam scone and cream in one of the village tea rooms!